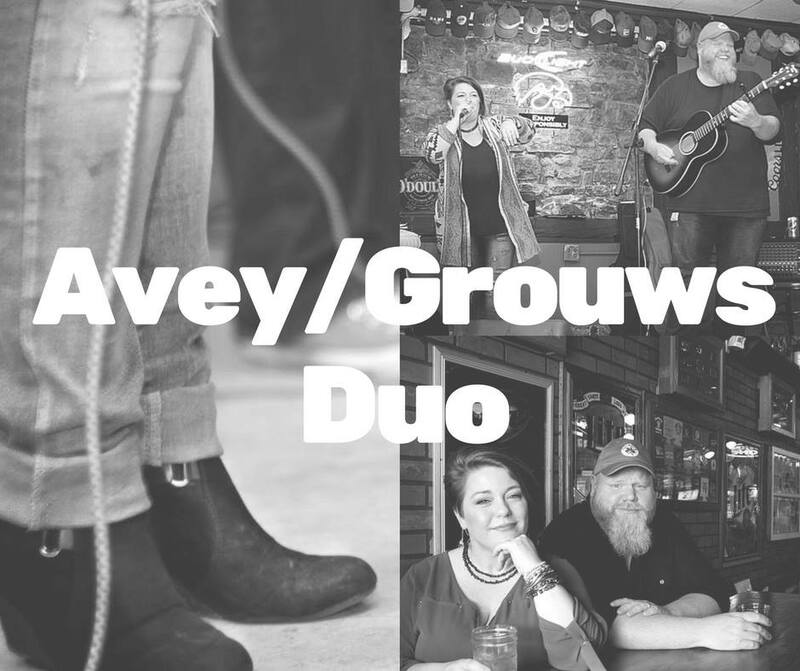 Join us for an afternoon of blues, rock, and americana music with the Avey Grouws Duo on Sunday, September 16th from 3-5PM! The Avey/Grouws Duo is comprised of the lead members of the Avey/Grouws Band. The Avey/Grouws Band is the 2017 Iowa Blues Challenge winner and has had memorable performances at The Prairie Dog Blues Fest and The Mississippi Valley Blues Fest. Jeni Grouws met Chris Avey and Bryan West at a blues jam in the Quad Cities in 2015, and later that year The Avey Grouws Duo was formed. After throwing in a handful of well-received full band gigs in 2016, in 2017 the duo finally called up Bryan West to officially form the Avey/Grouws Band. Chris Avey, formerly of The Avey Brothers and former lead guitarist for blues icon Big Pete Pearson, has been called a “younger, more fiery Coco Montoya mixed with a dash of Tab Benoit”. Avey and drummer Bryan West came in 3rd in the International Blues Challenge in Memphis in 2009 as The Avey Brothers. The strength and grit of Avey’s guitar and vocals are beautifully matched by the sheer power and nuance of Grouws’ unmistakable voice. She’s been called “a choir full of angels on a runaway train!” Gary Eckhart of Blue Monday Monthly saw their first performance in 2017 and said, “It was their first show and they are already ready for festivals!” The band has been steadily booked in 2017 in La Crosse, WI, Minneapolis, MN and throughout their home state of Iowa. And though their musicianship is stellar, there is simply something about how the band communicates with an audience. An evening with the Avey/Grouws Band is playful, raucous and rooted in the moment. And you won’t want it to end! The Avey Grouws Band is Chris Avey, Jeni Grouws, Bryan West, Andrew Durham, Randy Leasman and Ian Farmer.